So, you own a home and you’re considering selling it. You are certainly hearing about the great prices that sellers are getting for their homes and that’s enticing. Of course, there’s the big problem that you hear every realtor talking about, which is—once you’ve sold, it’s extremely difficult to find something else to buy that isn’t also higher priced than what you expected. The delta is everything and today, the delta is disappointing. 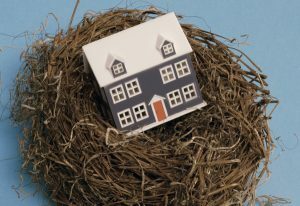 That is why there are so many empty-nesters staying put in homes much bigger than they need. And this is also why our inventory of available homes remains at a record low, exacerbating the problem. Those in this position need to sharpen their pencils, decide how much they want to reduce their mortgages, cut their expenses and time commitment to their homes, or just put into liquid investments. And then they need to get very methodical about how they will go about selling and buying at the same time, or better yet, buying, then selling, if they can, and finally, finding a suitable replacement home. And yes, all risk factors need to be considered. While this is the most challenging position to be in, a good agent will help you succeed in accomplishing it. Now, if you are moving ‘across,’ such as moving to a new or newer home—smaller but better quality, or a different location but at a similar price point—then the “oh, yay!” and “oh, crap!” are in similar measure. Let me tell you, strategy is everything in a market like this. If you’ve got some trump cards, you’ll be glad. No, I still haven’t gotten to the subject, but the setup is relevant. Next is the ‘move up’ buyer, who is firmly in the catbird seat. It only makes sense that the higher in price you go, the softer the market is. For example, in Evergreen, 38 percent of the available singlefamily inventory is already under contract. On average, Evergreen has a balanced market. The median sales price over the last 12 months is $675,000, by the way. So, let’s say you sell your $675,000 house and now, because of a huge promotion or inheritance, you are looking to buy something around $2,000,000, plus or minus. We can dream, can’t we?! So, you sell your $675,000 house, and at 96 – 98 percent of asking price, which is statistically accurate (Denver Metro: 99.9 percent. Different animal.). Then, you go searching for that luxury home and, lo and behold, 80 percent of the homes that come up in your search are available, and many have been on the market for a long time (five months on average)! Oh, and statistically, you’ll get 5 – 8 percent off the price too. Please don’t tellme about the $2 million dollar house that sold for full price, because it’s matched by one that sold 10 percent or 12 percent below list. Still, catbird seat. What’s left are the ‘move out’ buyers, as in moving out of town or out of state, or just out of real estate ownership. In which case, unless they’re moving to the upper East Coast or the West Coast, they won’t have trouble finding a replacement home with the money they take from the sale of their home here. Some won’t buy again at all, at least for now. They are moving in with family, or have decided just to travel and get rid of all their stuff. That sounds appealing. Some are liquidating rental properties. All of these are fortunate to simply ‘cash out’ in a strong market. Let me visit another critical factor in all this sell/buy conversation. Regardless (I so wanted to write irregardless just for Holly) which scenario you are, there are factors that change the game. It’s a given that the immutable “Location, Location, Location” always has an impact. But the big one in our faces right now is rising interest rates. They are up about a 1⁄2 percent from their low. That’s a $200 mortgage hike on a $400,000 loan. When buyers qualify for less house, home values are affected. And it won’t help you any on the buying end either. Numbers like this can be absorbed more easily by some than others, but just know that property values are all tied together from the entry level home to the mansion on the hill. Read the post by OnQFinancial on VA home loans rates and discover the benefits of it for yourself. So, you want a bigger house to raise your family in or even just for entertaining? Do it now. You want a smaller home? Bite the bullet and settle in for the long run. You just want something different than you have? Do it now so you can sit on your 4 percent mortgage instead of waiting until it’s 4 1⁄2 percent or 5 percent or worse. You’ll be glad you did. If you’re OK where you are, and you want to cash out eventually, but you want to wait for ‘the peak,’ then you better be good at reading the signs, or know someone who is. By all means, hedge your bets. But be aware that ‘bet’ is a gambling term, and some win and some lose. Happy Spring and Happy Homes from The (original) “Home” Team.